Electronic Fuel Injection (EFI) is now standard equipment on almost every street motorcycle manufactured around the world. It is virtually impossible for a motorcycle technician to accurately analyze the condition of a motorcycles fuel injectors while they are still on a motorcycle. This does not allow the motorcycle technician to correctly diagnose faults, or adjustment a fuel injection system. 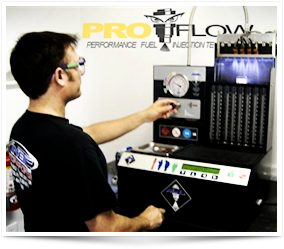 The ProFlow Ultrasonic Fuel Injector Cleaning & Flow Testing service will ensure that your motorcycle fuel injectors will work efficiently. 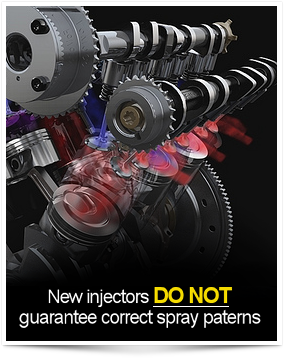 Even a new motorcycle can have mismatched injector flow which can affect your overall performance and fuel economy. 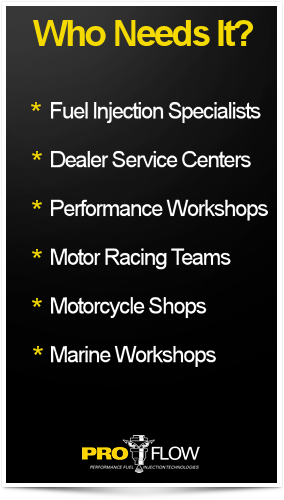 Just download our “Service Request Form” from the link in the upper right of this page, fill it out, then send it along with your injectors. We will return to you ultrasonically cleaned injectors with a report measuring flow measurements for each injector.